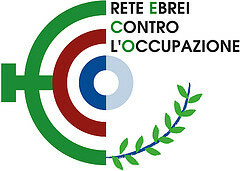 Rete Eco - Who are the true heirs to the Land of Israel? Who are the true heirs to the Land of Israel? If the principle of “patrimony” (nahalat avot) is the ideological justification for taking land from the Arabs, the lineage of those staking their claim to this inheritance should first be examined. If somebody were to claim that he was the grandson of Baron Edmund de Rothschild he would be required to present a court with DNA test results. If not, anyone could claim to be the descendant of some baron and seize his inheritance. On Avishai Ben-Haim’s “Jewish DNA” program on Channel 10, we learned that the DNA of Gush Emunim leader Daniella Weiss shows her to be 95 percent Polish. And that the DNA of MK Esawi Freige shows him to be 95 percent Middle Eastern and 67 percent West Middle Eastern. (To tell the truth, I’ve always suspected that Weiss is really a undercover agent of the European right, with the aim of tarnishing the image of all of Judaism.) So one could say that if the forefathers have heirs, Freige and his people would be the ultimate ones. Nevertheless, on the program Freige says he believes there is room for both peoples here.